World record-holder Genzebe Dibaba will run only the 3000m at the IAAF World Indoor Championships in Portland, confirms her agent Ulf Saletti. That opens the door for three other names in the 1500m, as Axumawit Embaye has the wild card as IAAF World Indoor Tour winner. She will be joined in the Ethiopia team by Dawit Seyaum, who has clocked 4:00.28 for the second best time of 2016, and world junior record-holder Gudaf Tsegay, who ran 4:01.81 in Glasgow. 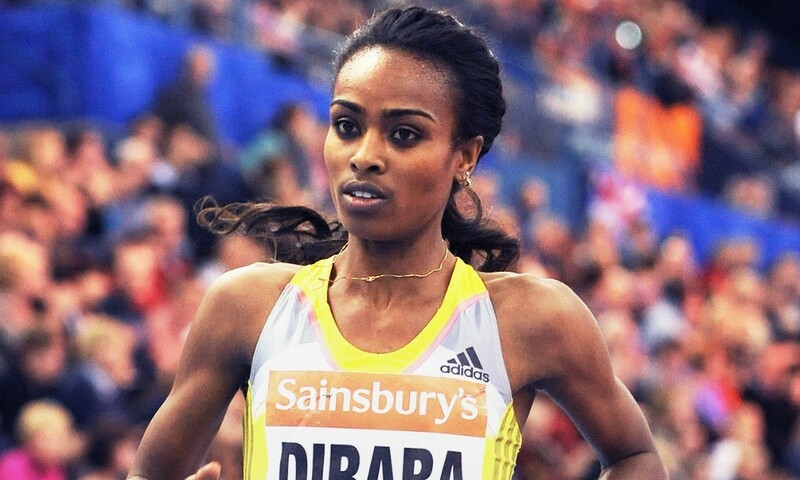 With Dibaba in the 3000m is set to be Meseret Defar and their duel should be one of the highlights of the championships. Doha will again open the IAAF Diamond League series, with this year’s event taking place on May 6. Among the first athletes confirmed for the meeting are Olympic triple jump champions Christian Taylor and Olga Rypakova, as well as two-time world champion Caterine Ibarguen, organisers have announced. “Although the Doha 2016 coincides with the athletes’ Olympic preparations and is, as always, held at the beginning of the outdoor season, we have invited and bringing on a large number of Olympic and World Championships medalists, like Christian Taylor, Caterine Ibarguen and Olga Rypakova. This early announcement already shows that the meeting will be of a very high calibre with top athletes competing, ” said the Qatar athletics federation president, Dahlan Al Hamad, who also commented on the recent addition of Rabat to the Diamond League calendar. Dutch sprint star Dafne Schippers and Italian high jumper Gianmarco Tamberi have been voted European Athletes of the Month for February. Schippers had votes of more than 1200 combined Facebook likes and retweets on Twitter. She went unbeaten in eight 60m races last month including a world-leading 7.00 in Berlin on February 13. Tamberi won his first European Athlete of the Month award with well over 2000 likes and retweets. He jumped a world-leading and national record 2.38m to win in Hustopece on February 13, completing a great run of form this indoor season as unbeaten. Junior running talent Konstanze Klosterhalfen clocked 32:24 for 10km at the 35th “Lauf rund um das Bayerkreuz” for another German under-20 record. Men’s race winner Mostafa Benslimane of Morocco clocked 30:13. One day after her doping ban ended, hurdler Nevin Yanit competed at a meeting in Istanbul and won the 60m hurdles in 8.35. “Now I have served my punishment. I have finally got my freedom. And now I just feel joy,” she said. Demet Parlak again improved the Turkish pole vault record to 4.26m.